Golfers tend to think of the term "scratch" in a very specific way -- meaning, they're so good they don't need a handicap index. 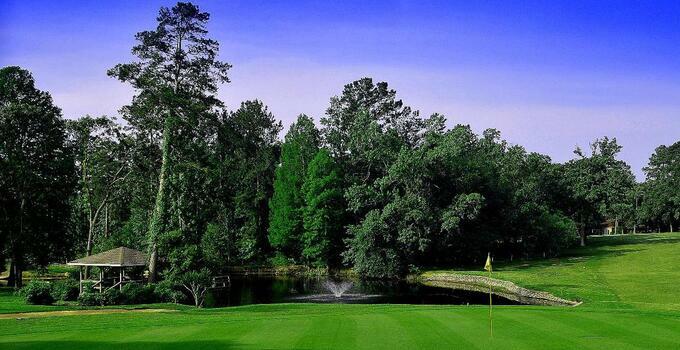 But "scratch" has taken on a second, delicious meaning at The Village Golf Club near Houston, Texas. New head chef Adrianne Bryant has been on the job for about a month now and is taking the club's culinary vision in a fresh, new direction. Bryant, trained professionally at the Texas Culinary Academy, is building a menu and an approach with a rotation of dishes, all featuring fresh ingredients and getting away from frozen foods. Of course, Bryant and food and beverage manager Staci Czajka are aware they have to also appeal to foodies as new potential customers as well course regulars. However, the mix will be just right for players to enjoy their rounds and draw in locals who might otherwise need to make a drive to find good food. Now you play on the greens and eat great greens in the same place!